I read this for the 7th Annual Graphic Novel & Manga Challenge 2014. This is the third book I’ve read for the challenge, out of the 12 books I need to read. If I can describe this book in one sentence, it would be: The action never ends. 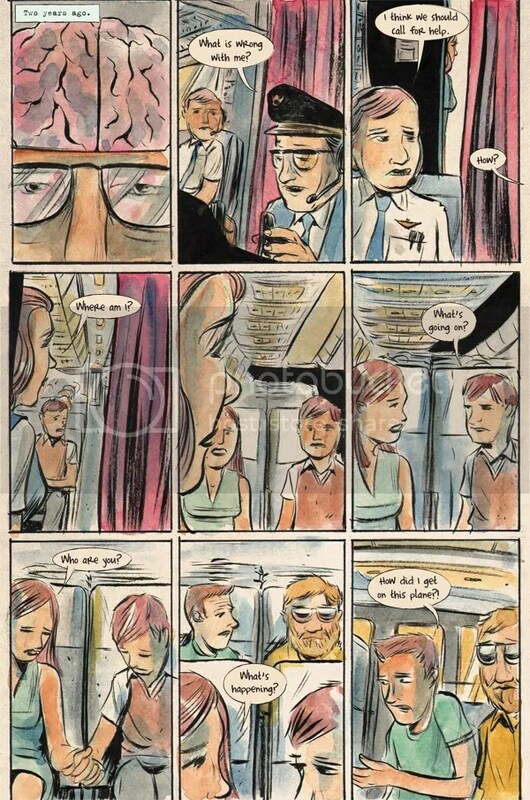 Matt Kindt must have a very fluid and exceptionally vivid imagination to come up with Mind MGMT. It explores a lot of things ranging from clairvoyance, telekinesis, espionage, action, adventure, and mystery, but it’s done so well. 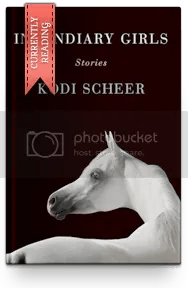 At the core of this fantastic story is the complex and elaborate riddles the author has presented about Mind MGMT, the premier psychic espionage organization, gradually unfolding its mysteries as the narrative moves forward. Mind MGMT presents a somewhat ghastly vision of a world where people with extraordinary and superhuman abilities walk among us, exposing us to a myriad of supernatural occurrences and mind abilities. Here’s a story that utilizes familiar themes in science fiction but has cleverly inverted them into an original and unconventional story. The result is an engrossing and compelling read that does not fail to draw you in, encouraging you to ask questions and seek answers. The story builds superbly. At first the story seems discordant, presenting us with a narrative that doesn’t seem to add up. When we eventually discover what the story is all about, another mix of twists and turns are revealed, making us wonder where the story will lead to next. Matt Kindt has allowed this story to slowly evolve into something hypertrophied, but thrilling all the same. The facts are never completely exposed, cloaked and hidden, awaiting to be released in perfect time. While paranormal activities abound, it is surprisingly convincing. The realm of science and fantasy has been unified so strikingly that it becomes a little unnerving- brilliantly, at that. It’s not only the story that can be deemed unconventional in comic book standards. The art work, for example, shows how Matt Kindt applied his intense creativity. A typical comic book usually presents solid, bright colors whereas Mind MGMT uses the ethereal effects of watercolor. It perfectly reflects the ambiguities and the mysteries underlying the story. I have not read a lot of comic books but this was a completely different thing for me. I think it’s safe to say that this book appeals not only to the intellect but also to the sense of sight. When I first looked at the cover, it seemed an ordinary illustration of a woman with an exposed brain, but once you get to see it in close up, you will see that the ‘brain’ is made up of people inflicting harm to one another. As with the covers that follow, these illustrations demand a second look as it has hidden visual messages. The same riddles and complexities latch onto an array of beguiling characters we meet in the story. It occurred to me that even Meru, the true crime writer protagonist, is someone I will not fully know or understand. Somehow, I felt she has a deep connection with Henry Lyme and thus the organization itself. I am guessing all the missing links will be explained in the succeeding volumes. It’s clear from the start that Meru’s goal is not only to find Henry Lyme but to dissect the Mind MGMT organization. But why? Most importantly, how? The most disturbing and probably the most interesting characters are the Mind MGMT agents who possess extraordinary and superhuman abilities. They can alter or manipulate reality just by their thoughts. These individuals can inflict harm and kill someone as easily as they can think of what they want for lunch. I honestly don’t know if they are all good but they seem to be. Then again, I have not made sense of a lot of things while reading the book so I guess I’ll have to read the next volume to find out. I’m wondering how all of these characters will tie together and show up as the story moves along. It’s been a great ride so far, knowing them one by one, how they are trained, who the most powerful is, what their powers are… I’m curious as to how these agents will affect Meru personally. Surely there’s something here that hasn’t been clearly stated and there will be more to discover in the next volume. Mind MGMT is a staggering piece of work. It is evident that Mind MGMT is one-of-a-kind book that will appeal to fans of the mystery and adventure genres. If you count yourself as one, then pick this up and revel in all its complexities. If you are a fan of the X-Files TV series, then you won’t be disappointed. It was a great, intense, and fast-paced read that had me wanting more. I’m looking forward to reading the next volume. To know more about the author, you can visit his official website. According to the author, he got the idea for the series based on a title recommended to him by a friend. Find out more about Mind MGMT in this interview in the Multiversity Comics website. Great review! I love this series too! Thank you, Nicola! I hope to finish the challenge before April ends.